This year things can be different. This year you can start reaching your true potential. This year just might be the year you break out of your comfort zone and start enjoying the life you deserve! 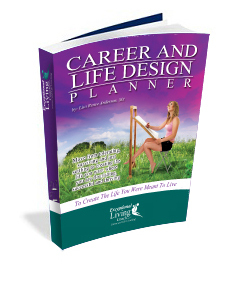 This Career and Life Design Planner will deliver them to you one by one, step by step, so you can start designing the life you were meant to live! a FREE e-course delivered over 9 days walking you through the process and encouraging you each step of the way. a FREE subscription to my occasional Exceptional Living newsletter that’s about living Your Best Life. Please note: Remember to confirm your request, so you will get your free workbook. Just fill out the form below to start your e-course! I respect your privacy 100%. I really dislike SPAM as much as you and promise to never sell, rent or disclose your private name and e-mail to a third party. 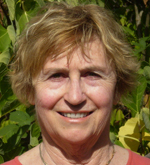 Teacher and Educational Consultant I was dissatisfied with my teaching job. I enjoyed some parts of my work, but I also felt I had many talents that weren’t being utilized. Lisa’s process allowed me to take stock of my talents, and discover new areas where I could apply my strengths. I realized that I wanted to stay in education, but desired a different role–one that allowed me to innovate, create, and motivate other teachers and education professionals to create quality results in their environments. I began to work on a business plan centered around helping educational organizations and professionals achieve their potential through workshops, consultation, and organizational products. I am hoping to work as a consultant to help schools improve their performance through individual behavioral change. With Lisa, I learned how to be flexible. Lisa believes in creating concrete goals but also working on envisioning new possibilities by focusing on values, not specific metrics. Many of the exercises we did allowed me to envision new possibilities. Maybe I didn’t need to work for an organization–maybe I could start my own. Maybe I didn’t need another degree–I just needed a few specific business classes to learn the basics. 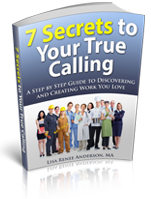 Lisa helped to challenge my doubts and also opened my eyes to areas where I wasn’t looking closely enough. The result for me was a new way of thinking about what I wanted to create in my life by opening my mind to all the resources that surround me: time, money, expertise, and the local community. Lisa is wonderful at getting you to see things a new way, and often challenges your fears and misconceptions about why you can’t achieve a certain outcome. I am excited to see where my new direction will lead, and I would still be sitting around waiting for the right opportunity to come along if I hadn’t worked with Lisa. It was a jumpstart that I really needed, and I recommend it to anyone who is feeling in need of a push in the right direction. Writer/Editor I was stuck. That’s the best way to describe it. My chosen industry (newspapers) was slowly dying and very few companies anywhere were hiring. I had stayed in my comfortable job for far too long. I was no longer passionate about what I was doing, and it showed. The quality of my work was adequate, but I was by no means a star. Had I been more inspired, I might have been able to do the work that would allow me to write my own ticket. But I wasn’t doing that. My work no longer felt like a calling. It was just a job. My job paid well, gave me good benefits and rarely required more than 40 hours a week. I realize, now, I was a little too comfortable. With no promotions or other job opportunities on the horizon, I had no incentive to work harder. I could continue showing up, collecting paychecks and feeling slightly unfulfilled indefinitely. This was the first area where Lisa really helped me. I had taken “What Color Is Your Parachute”-type tests before and alway felt frustrated by the results. I’d be left with a list of potential jobs, but I had no idea whether they were really right for me. Lisa helped me draft a description of my ideal job. It’s amazing how closely my new job resembles that description. Volunteer CoordinatorThree months ago, I was burned out at my job in social services and looking for a change, but had no idea how to make it happen. Then my friend, Emilee, recommended Lisa to me. After our first meeting, I cut down from working 50+ hours per week to the 40 hours a week I’m paid for. Doing so freed up energy to focus on my next step. With Lisa’s guidance, I created a mission statement and a 3-5 year vision. She taught me how to set smart goals and create an action plan to achieve them. Throughout this journey, she gave me concrete tools to work towards achieving my vision and purpose in life. Mental Health Therapist I was drowning and floundering; very stuck and unable to motivate myself out of an unstimulating and unrewarding job, Sound familiar? Last winter, I completed Lisa’s Design Your Life Success Group. From that group, I have moved from being stuck. 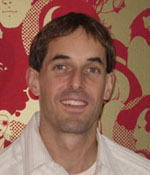 I completed and became certified in Neurolinguistic Programming; Hypnotherapy and Time Empowerment Therapy. Now,I am in the process of starting my private counseling practice. 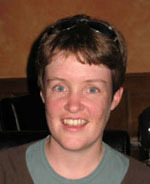 Lisa has provided valuable insight and business/technical know how throughout my career transition.